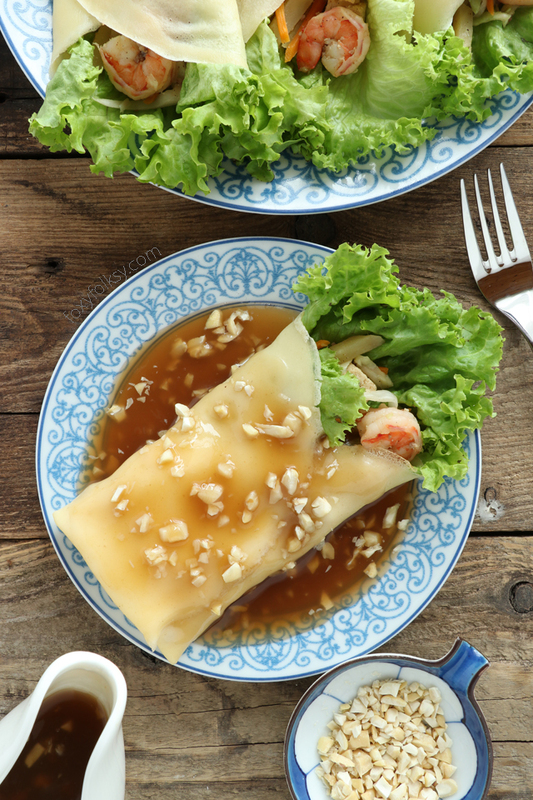 Get this recipe for Lumpiang Sariwa. A kind of Filipino Spring Rolls that is filled with various vegetables, sweet potato, shrimps, and meat. 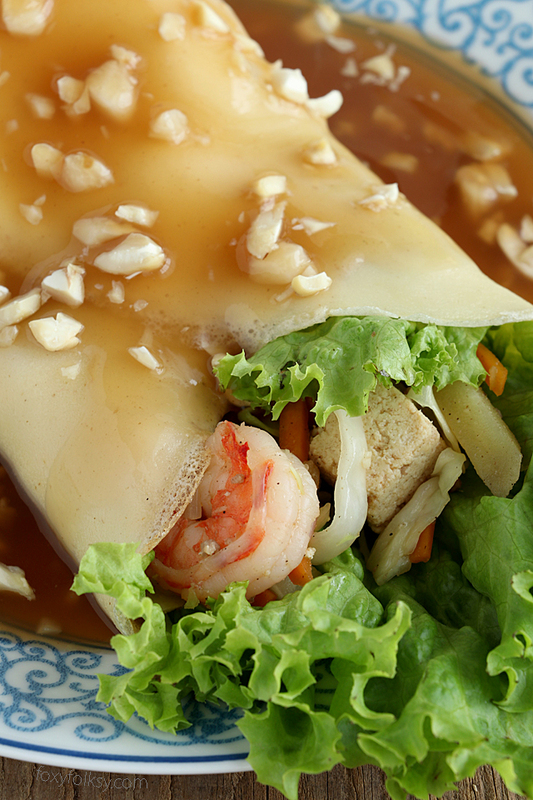 Wrapped in a crepe-like wrapper and covered with a special sweet-savory sauce. Lumpiang Sariwa is another variety of Filipino spring rolls. It literally translates to Fresh Spring Rolls. 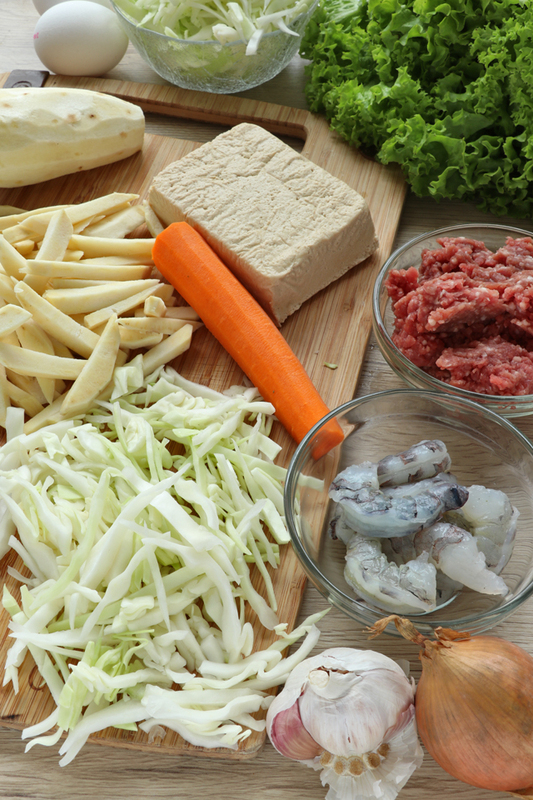 The filling is composed of various vegetables, some shrimps, and meat. Firm Tofu may also be added. 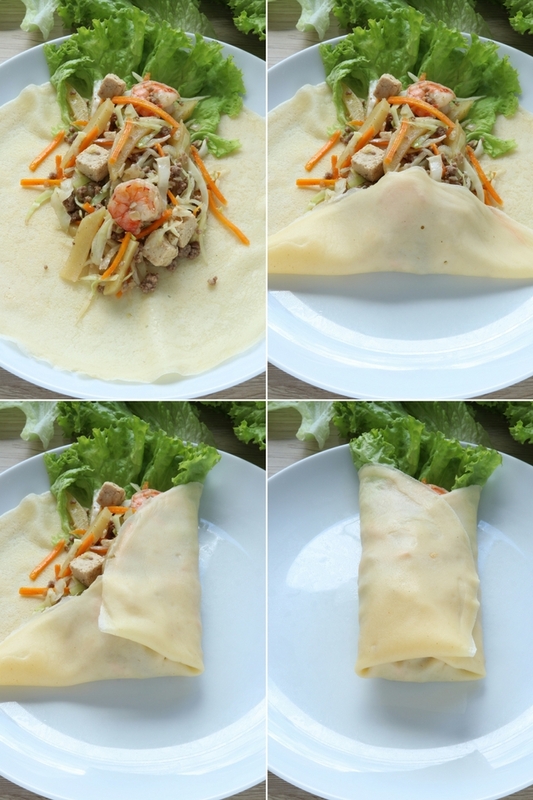 The filling is then wrapped or rolled in a crepe-like wrapper. We call it fresh because you do not fry it as we do the other spring rolls, like Lumpiang Shanghai and Lumpiang Prito or Togue. It also has a special sauce that is sweet and savory and then topped with chopped peanuts. The sauce is really a breeze to make. 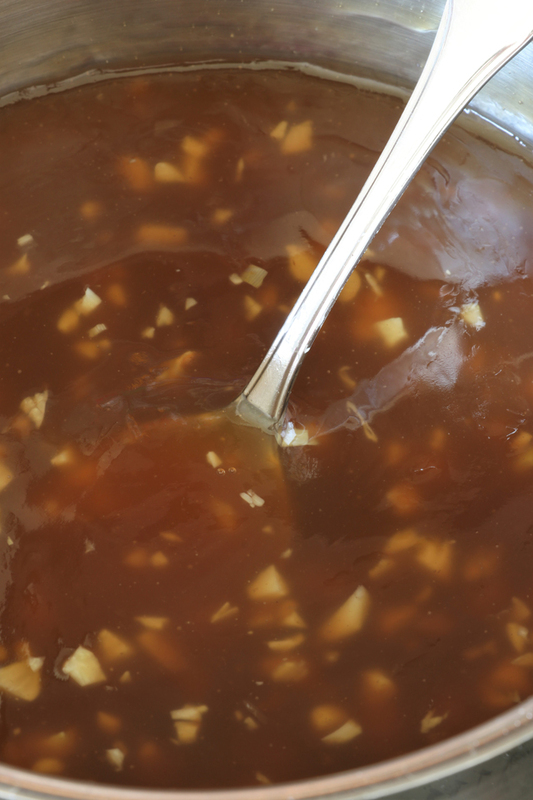 It is mainly a concoction of water, soy sauce, brown sugar, cornstarch, and garlic, cooked until it becomes thick and flavorful. 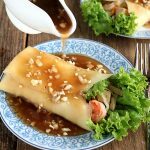 Lumpiang Sariwa can be served as appetizers but it is also popularly eaten as an afternoon snack or for those who want to have a light meal (or lose weight), it will also be perfect for dinner. Most recipes would ask for pork belly strips for the filling but I used ground pork instead. It not only lessens the cooking time but I also liked that the meat is better distributed or mixed with the veggies. 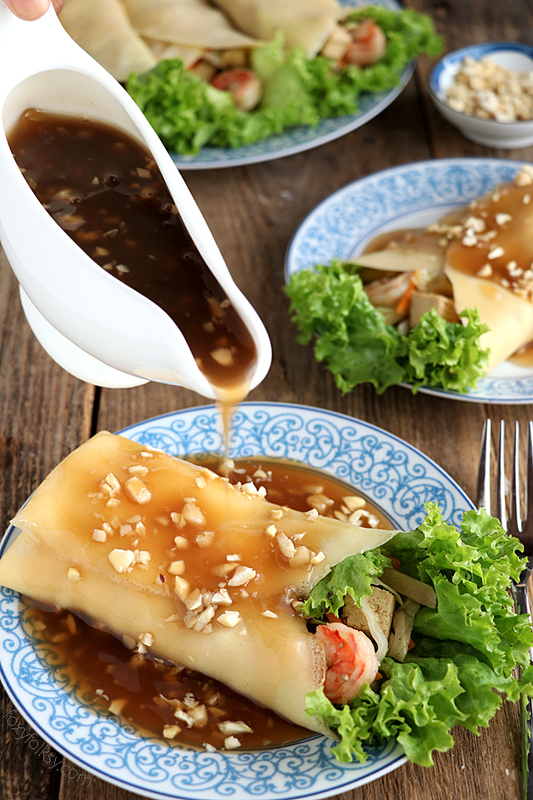 Lumpiang Sariwa is a Filipino Spring Rolls that is filled with vegetables, wrapped in a crepe-like wrapper and covered with a special sweet-savory sauce. In a wok or skillet, saute garlic and onion in oil over medium heat until limp. Add the ground pork and cook for 3 minutes stirring constantly to remove lumps. Next, add the tofu and cook for 3 minutes or until edges are lightly golden. Add the prawns and cook until it turns pink all over. Add the sweet potato, carrots, and water. Let it cook for another 3 minutes or until the sweet potatoes are just cooked. Add the cabbage and fish sauce. Season with salt and pepper as needed and cook for a few minutes more just until the cabbage is done. Transfer to a colander to remove excess liquids if any. Let it cool down a bit. Meanwhile. prepare the wrappers and sauce. In a bowl, combine all the dry ingredients for the wrapper. Add a quarter of the milk and whisk to make a paste. This is to prevent lumps from forming. Then add the rest of the ingredients while whisking continuously. Run the runny batter into a sieve to have a smoother batter and later smoother wrappers. Heat a non-stick crepe pan over low heat. Spray or brush the pan with a little amount of oil. Pour half a cup of batter into the pan and immediately tilt from side to side in a circular motion to cover the bottom with the batter. Cook for 2-3 minutes or until the batter is no longer liquid and no longer sticks to the pan. Do not let it turn brown. You may need to flip it over but as long as the top has also dried out, then no need. Transfer wrapper to a plate and set aside. To assemble, place a wrapper on a plate or on a flat surface and place a lettuce leaf on top. Spoon some fillings across the middle half of the wrapper. Fold in the wrapper into the center starting from the bottom and then the sides cover filling. Pour some sauce on top of the wrapped Lumpia then sprinkle with chopped peanuts. Glad you are enjoying the recipes Jacquie…? Hi Bebs, I have become a fan of yours since i tried your Spanish bread. I like your presentation very much. I have been trying your recipes from time to time. I like this lumpiang sariwa recipe you got here. My family loves it, especially my husband who is from Slovakia. 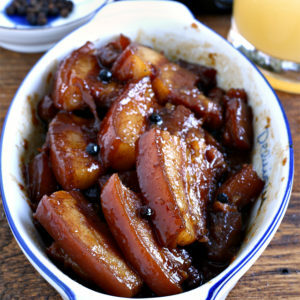 I was so glad i am able to cook him some Filipino dishes that he likes very much. This Fresh Lumpia is one of them. Thank you and keep up the good work! Hi Goldmaris, thank you for your lovely comment. 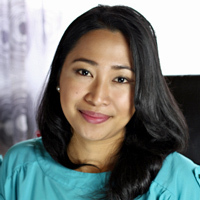 I am really glad that you and your husband like the this Fresh Lumpia and my other recipes. I just recently made this recipe, I have my own recipe for the filling and the wrapper, but what takes it over the edge was the sauce. Over the years i have tried to replicate the sauce that i have grown to love but no luck. then i found your recipe for the sauce and it was on point! thank you so much for sharing this. Awww Mysa, I am happy you like it! Thanks for the very nice comment! ???? Thank you for the recipes. I have two students that are living with me now so im like a new mom ???? i have to cook them baon daily so im looking for affordable and healthy food for them. Will try some of tour recipes. Sounds exciting and they are lucky to have you, Nan! I simply love your spring rolls! The ingredient list is super interesting. Thank you for sharing the recipe, I’m definitely going to try it!! Thanks and enjoy your spring rolls, Diana! ???? 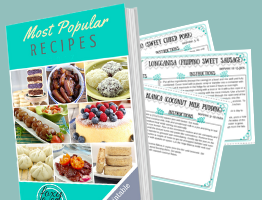 I have been looking for Fresh Lumpia recipe that looks easy to make and ingredients are available here … cannot wait to try this.